Forget the old-school cheese balls and tired crostini concoctions. They’re the creation of Faith Gorsky, whose An Edible Mosaic blog I’ve enjoyed poring over for her beautiful photos and enticing recipes. It’s from her new cookbook, “An Edible Mosaic: Middle Eastern Fare with Extraordinary Flair” (Tuttle), of which I recently received a review copy. Being the carb lover that I am, I’ve always had a soft spot for yeasty, flat Middle Eastern breads, especially ones imbued with spices that take me on a journey the moment I smell or taste them. These turnovers do take a little work, as you make the dough from scratch. But they freeze beautifully after fully baked, so you can make them ahead of time and tuck them away until you need them. I even made the dough the night before, forgoing the initial rise in the bowl and just putting it into the fridge. The next day, I took it out and allowed it to come to room temperature and rise for about 2 hours before proceeding with the rest of the recipe. The filling is simply cooked spinach and onion, seasoned with lemon juice, ground coriander and cumin. It’s the dash of sumac that really makes it, imparting a haunting, fruity tang. Cut out circles from the dough. Place a bit of filling in the center, then fold up the edges to form a pyramid or triangular shape. Brush with olive oil and bake. The turnovers emerge quite golden. 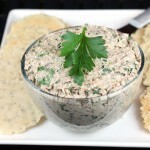 The exteriors are bready soft and the filling is bright, minerally and faintly acidic. 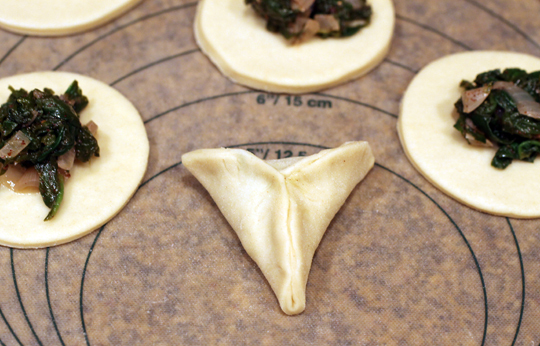 During baking, your turnovers may not stay perfectly sealed. But having the vivid green filling peek out a little just adds a festive touch to this special time of year. 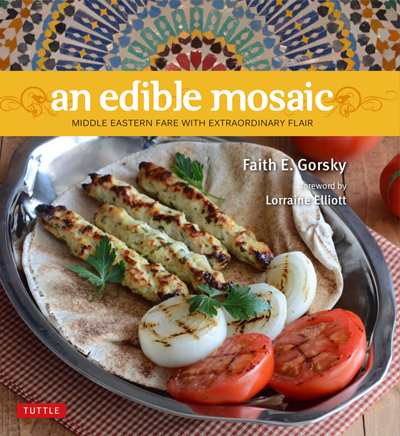 CONTEST: One lucky Food Gal reader will win a copy of Faith Gorsky’s cookbook, “An Edible Mosaic: Middle Eastern Fare with Extraordinary Flare.” Entries, limited to those in the continental United States, will be accepted through midnight PST Dec. 1. Winner will be announced Dec. 3. 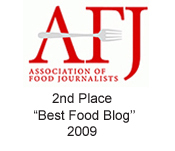 Just tell me your favorite Middle Eastern food, ingredient or dish — and why. Best answer wins the cookbook. 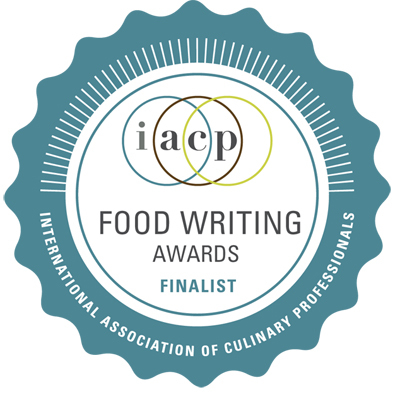 WINNERS OF LAST WEEK’S CONTEST: In the previous Food Gal contest, I asked you to tell me what makes you feel your most wonderful? Winners will receive a coupon for a free 4.3-ounce container of new Pom Poms fresh pomegranate seeds. Prepare the Basic Savory Flat Pie Dough. Heat both the oils in a large skillet over medium heat; add the onion and sauté until softened but not browned, about 5 to 7 minutes, stirring occasionally. Remove from the heat and stir in the sumac. Chop the spinach and remove any large stems; add it to a large pot with 2 cups of water. Cover the pot and cook over high heat until just wilted, about 8 to 10 minutes, stirring occasionally. Drain in a cheesecloth-lined colander and let it sit until the spinach is cool enough to handle, and then wring the cheesecloth to remove the excess water. Combine the onion/sumac mixture, drained spinach, lemon juice, salt, coriander, cumin, and black pepper in a large bowl. 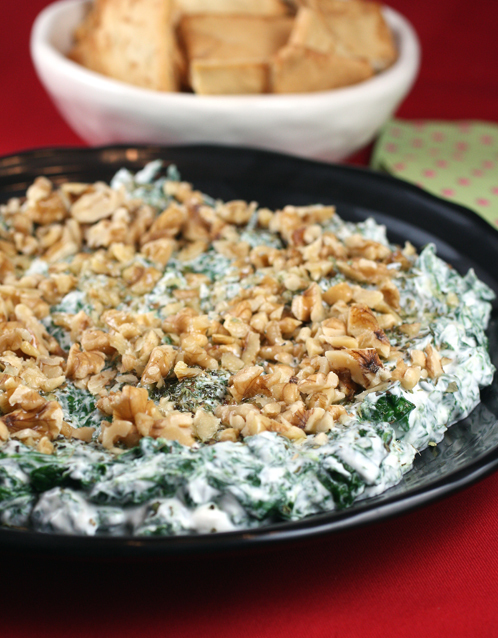 The spinach should look slightly glossy, if it doesn’t, stir in more canola oil, 1 teaspoon at a time, until it does. Be careful not to add too much. Taste the spinach; it should taste like a well seasoned salad—if it doesn’t, adjust seasonings (such as lemon juice, salt, pepper, and other spices) accordingly. Preheat oven to 400°F (200°C) and lightly brush 2 large baking sheets with olive oil (alternatively, you can line them with parchment paper or silpat liners). Gently deﬂate the dough, then divide into 2 equal pieces and shape the pieces into balls; put the balls back into the bowl, cover the bowl with a slightly damp towel, and let sit 5 to 10 minutes. Lightly brush olive oil onto your countertop (or whatever surface you want to use to roll out the dough). Work with 1 piece of dough at a time and use your hands to gently stretch it out, then use a rolling pin to roll it out to a circle about 12 inches in diameter. Stamp out circles 3 inches in diameter with a round cookie cutter. 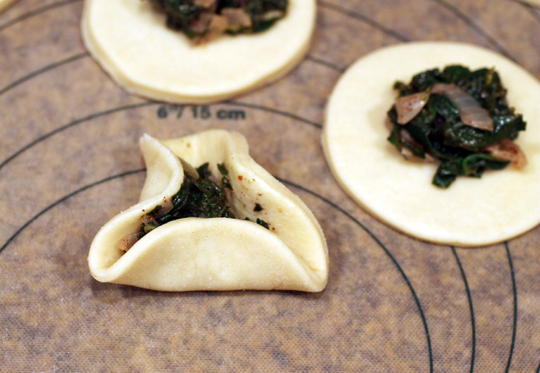 Scoop about ½ tablespoon of spinach ﬁlling onto the center of each piece of dough. Repeat this process with the three remaining balls of dough. Gather the dough scraps into a ball, roll it out, and ﬁll (only re-roll the scraps once to prevent the dough from toughening). Line up the turnovers (seam side up) about 2 inches (5 cm) apart on the prepared baking sheets and brush a little oil on top of each. Bake until golden brown, about 15 to 20 minutes, rotating the baking sheets once halfway through cooking. Serve hot, warm, or at room temperature with lemon wedges for those who like an even more citrusy taste. Brush ½ tablespoon of oil on the inside of a large bowl and set aside. Mix together the yeast, sugar, and warm water in a small bowl until the sugar is dissolved. Whisk together the ﬂour and salt in a large bowl. Use a wooden spoon to stir the yeast mixture into the dry ingredients, and then stir in the remaining 3 tablespoons of oil. Gradually stir in enough milk to form “shaggy” dough (you may not need all the milk). Turn the dough out onto a lightly ﬂoured surface and knead about 5 minutes; the dough is done being kneaded when you press a ﬁnger into it and the indentation remains. Transfer the dough to the oiled bowl and roll it gently to coat with oil. Cover the bowl with a slightly damp towel and let sit until doubled in size, about 1½ hours. Recipes courtesy of “An Edible Mosaic: Middle Eastern Fare with Extraordinary Flair” by Faith Gorsky (Tuttle Publishing; Nov. 2012); reprinted with permission. So happy you enjoyed this recipe, Carolyn! Your turnovers are gorgeous, and I’m definitely going to try your idea of making the dough the night before! Mmmm these look so delicious! 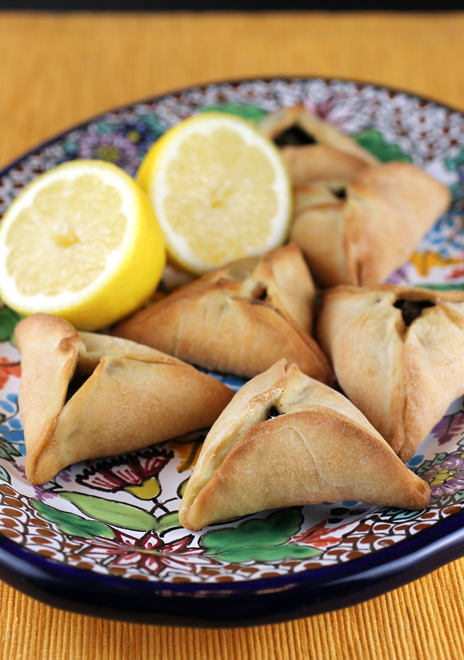 I love the Greek version of a spinach turnover and now I must try these with their Middle Eastern twist. And your dough looks wonderful! 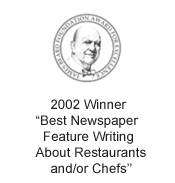 Wow I am trying to think of a favorite Middle Eastern dish. My mind flies back to the summer when I was 17 and in Israel for the first – and for now only – time and the plate of creamy smooth hummus with that slighty bitter flavor of tahini. We would be served piles of fresh, soft chewy pita which we would tear into pieces and smear through the hummus before pushing into our mouths. And those early days in Paris when my husband would take me to buy spicy Turkish pizzas as the guy behind the counter made them fresh (we would get them wrapped in foil to bring home to warm up for dinner, ten at a time!) and then we would get a fat felafel Rue des Rosiers filled with crispy fresh red cabbage, lettice and tomato and crispy chick pea balls smothered in white sauce and, yes, hummus. I love this book! Your turnovers look wonderful. Nice job on the turnovers! Turned out nice and golden brown. For me, I like to use harissa, which I discovered a couple of years ago. Mostly because I love the subtle heat but also the fiery orange-red color. This is one time I really wish I lived in the US! This looks like an awesome cookbook. Those turnovers look wonderful! I have not had much Middle Eastern food, but so far my favorite is Turkish Pogaca. I love the mixture of bread with a salty Feta and herb filling. These look great! 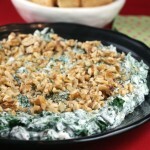 Every kind of spinach pie I’ve ever had was so flavorful, and I’ll bet these are no exception. I’ve heard good things about Faith’s book – I’ll definitely have to check it out. I love mujadarrah. Would love to win this book, it look very inspiring! For me, it’s hummus. Its beauty is in its simplicity, I think. There is one place here in the Bay Area in particular that I love for their hummus – Taverna Bistro in downtown Sunnyvale. It’s accompanied by a wonderful fresh baked warm flatbread and some pickles. Soooooo good. Who would’ve thunk a mixture of chickpeas, tahini, lemon and garlic could be so good? I love za’atar on flatbread. It’s a spice mix, which I think has quite a lot of oregano in it, or something similar, and many other spices. My favorite ingredient is olives. I could eat them on everything and my husband hates them.